Innovation is all around us every day; every product we use, every piece of packaging we open, every service we experience; all of these started out as ideas that have been developed and deployed. Yet that path from coming up with ideas to having successful products in the market is incredibly difficult. Many, many more ideas fail along the way, and never reach the market. The challenge of delivering innovation is even harder in big businesses than in start-ups. These corporate giants are designed to optimize their core business, drive efficiency and have many checks and balances to avoid risk. This is the exact opposite of the mantra of innovation, yet innovation is one of the keys to business success. Great companies thrive on innovation, whilst those that fail to innovate wither and die. There are a host of "corporate entrepreneurs" out there facing the challenge of delivering innovation every day, in every big business. They are faced with unwieldy governance, political infighting, traditional thinking, bureaucratic processes, unforgiving targets, unfocused sponsorship and limited resource.All of that on top of the common challenges faced by entrepreneurs launching new businesses. In The Secrets of Big Business Innovation some of the most experienced and successful of these corporate entrepreneurs have contributed their "secrets" - the tips and tricks that make the difference between success and failure and between corporate ignominy and fame. 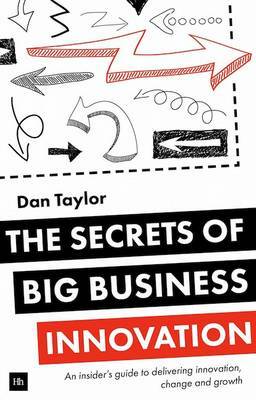 The Secrets of Big Business Innovation sets out the secrets of establishing and sustaining a successful innovation programme and driving great innovation projects through it. The "secrets" are supported by over 100 short case studies giving real-life examples from some of the world's greatest companies. This is a practical guide that works through the typical lifecycle of an innovation programme covering where things go wrong and ways to avoid the pitfalls, whatever business you are in and whatever process you are using.With insights from New Product Development teams, Research and Development Engineers, Marketing Directors, Chief Innovation Officers, Blue Sky thinkers, Customer Insight Specialists, Consultants and CEOS of new ventures, this book is relevant to anybody wanting to drive more successful innovation in their business.